A body building spray particularly affective for fine limp hair. 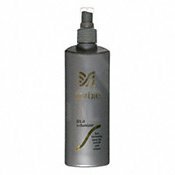 Lift-it Voluminizer gives tremendous strength, texture and root lift. Fortified with keratin protein and moisturising conditioners to encourage shine and eliminate static. Lift-it used to create volume and protect from heat whilst blow-drying.